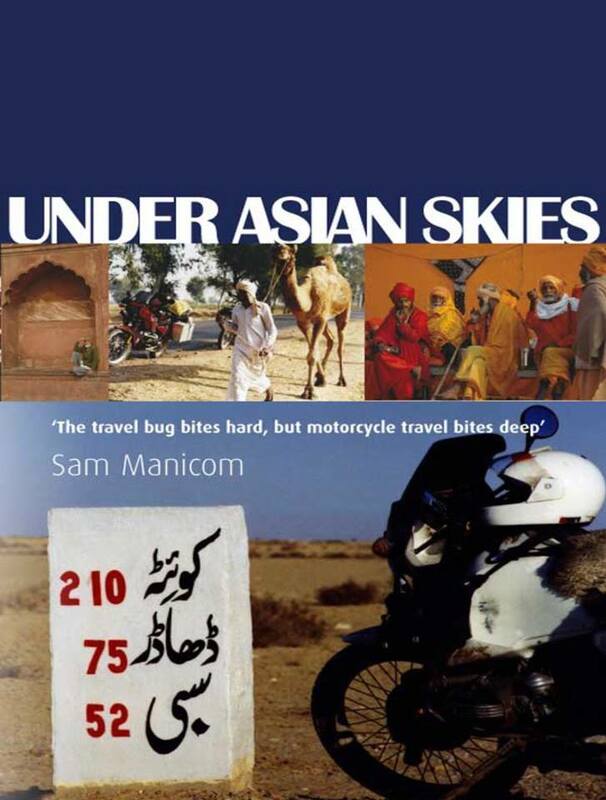 I just finished reading “Under Asian Skies” by Sam Manicom. This is the second in a set of four books that Sam has written which recounts his overland journey from New Zealand to Germany riding Libby, his faithful BMW R80GS. Accompanying them was Sam’s Guardian Angel, who had to sometimes work overtime to keep man and machine safe as they made their way across Asia. Sam is a master story teller and this book does great justice to his experiences meeting and travelling with different people along the way, having one amazing adventure after another.